Open the PDF and select to print only the page above as you do not need to print the directions. This is a fun introductory directional worksheet for preschool or kindergarten kids. 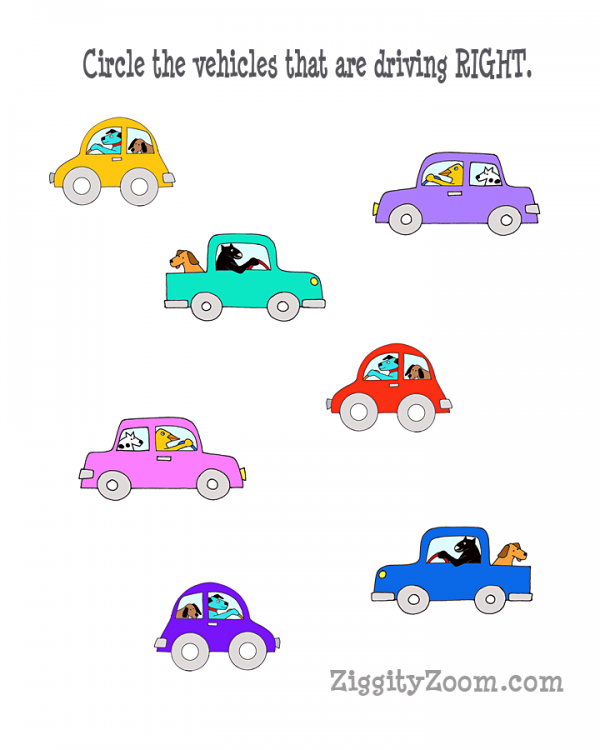 Kids love the fun and bright colored animals in cars. 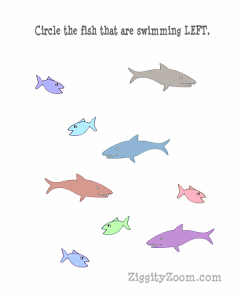 Check out our other directional worksheets as well.